The Leonardo Polo Institute of Philosophy with the collaboration of the Chair of Business Ethics of the IESE Business School (Madrid, Spain) and the Markets, Culture and Ethics Research Centre of the Pontifical University of the Holy Cross (Rome, Italy) presents the International Conference Spirits in Time: Person, Action, and Culture in Leonardo Polo’s Ethics. Spirits in Time will take place in English, and seeks to gather English speaking scholars from throughout the world to explore the implications of Polo’s anthropology and ethics in the varied fields of human action, culture, and history. The Conference is mainly directed towards young academics, and aims at being an occasion for them to encounter and deepen their understanding of Leonardo Polo's thought, especially aspects of his philosophy that concern his ethics and philosophical anthropology. 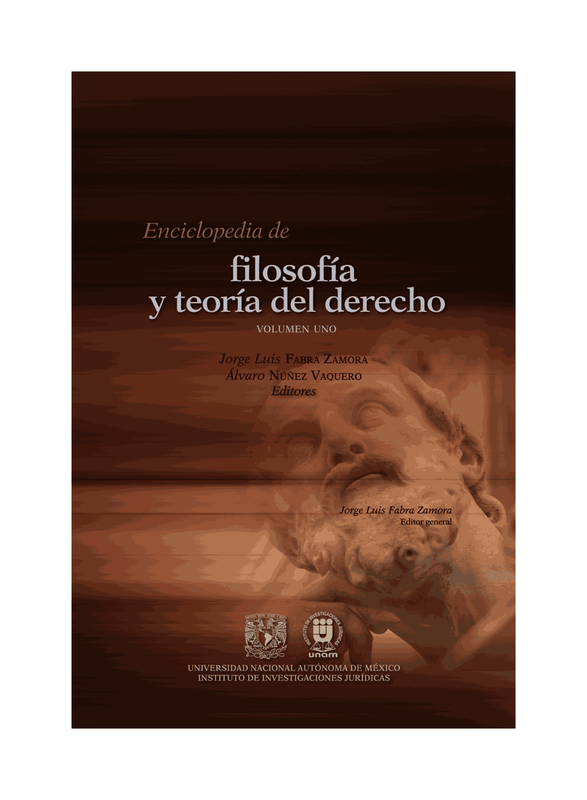 The main focus is to show how Polo's philosophy provides an important philosophical framework for understanding how the different dimensions of human action and the various disciplines that are studied at the university (architecture, engineering, medicine, law, political theory, business, biology, psychology, education, leadership, ecology, etc.) are related with each other and with culture, history, and society. The Conference centers on notions developed by Polo in works that focus on ethics and philosophical anthropology. Among these are his books Ética,Ayudar a crecer, Filosofía y economía, ¿Quién es el hombre?, as well as articles such as "El profesor universitario" and "La amistad en Aristóteles". Spirits in Time will take place on Monday, September 29, 2014 at the Madrid campus of the IESE Business School (Camino del Cerro del Águila, 3 in Madrid, Spain). The Conference will be divided into two sessions: a morning session with three main speakers and an afternoon session for presentation of papers and round table discussions. A provisional schedule is available here. Juan Fernando Sellés is Professor of Philosophical Anthropology at the University of Navarre (Pamplona, Spain) and visiting professor at ten universities outside of Spain. He has published more that 200 scientific articles and 37 books, including Antropología de la intimidad. libertad, sentido único y amor personal (2013), Los tres agentes de cambio en la sociedad civil: familia, universidad y empresa (2013) y El intelecto agente y los filósofos. Venturas y desventuras del supremo hallazgo aristotélico sobre el hombre (2012). Two of his works have been translated into English: Anthropology for Rebels (2010) and Thinking about Thinking (2013). José Ignacio Murillo is Professor of Philosophy at the University of Navarre (Pamplona, Spain) and Director of the Interdisciplinary Group “Mind-Brain: biology and subjectivity in philosophy and in neuroscience” of the University of Navarre’s Instituto Cultura y Sociedad. Prof Murillo has been a visiting research scholar at the Catholic University of America (Washington, USA), Fellow of the Maritain Center at Notre Dame University (Indiana, USA) and Academic Visitor of the Faculty of Philosophy at Oxford University (UK). His published works include Operación, hábito y reflexión. El conocimiento como clave antropológica en Tomás de Aquino (1998) and dozens of articles on the history of philosophy, philosophical anthropology, and more recently on questions related to the mind-body problem. Paul A. Dumol is Associate Professor of History at the University of Asia and the Pacific (Manila, Philippines), where he lectures on Dante's Commedia and on Philippine history. He holds PhD in Medieval Studies from the University of Toronto, Canada, and a Licentiate in Medieval Studies with specialization in philosophy from the Pontifical Institute of Mediaeval Studies, Toronto, Canada. He has a MA in Philosophy from the Liberal Arts Program of the University of Navarre and attended classes in Theory of Knowledge under Leonardo Polo in 1977. In 2008 his English translation of Polo's Ética was published by Sinagtala Publishers, Manila. Dr. Dumol is a much awarded playwright who writes in Tagalog. His play Ang Paglilitis kay Mang Serapio (The Trial of Mang Serapio, 1968) is considered by some as the first Filipino modernist play. Spirits in Time welcomes the submission of abstracts for papers (from professors and academics) and presentations (from students) that draw from a wide range of topics involving Polo's ethics and philosophical anthropology. Presentation of papers (by professors) will be limited to twenty minutes and should be in English. Presentations by students will be limited to fifteen minutes and should also be in English. The notion of life. Human nature and human essence; received life-added life. Theory of evolution and adaption of non-hominid animals; implications of tool use with regard to evolution. The human world as instrumental plexus. The mind-body problem. Relevance of Polo’s work for the biological sciences. Philosophy of the biological sciences. Topics related with Polo's anthropology of the human essence. Human essence as availing-of; having and giving; the will and freedom. Polo's theory of habits and virtues. Polo's theory of ethics. Polo's Ethics in relation with other ethical systems. Possible references: Chapters 4 and 6 of ¿Quién es el hombre? ; Chapters 4-5 of Ethics; "La amistad en Aristóteles"
The filial character of the human being. The family. Friendship. Polo's theory of practical action. The world as instrumental plexus; technology; philosophy of work. Language and communication. Philosophy of law. Philosophy of culture; society. Philosophy of history. Possible references: Chapters 5 and 7-8 of ¿Quién es el hombre? ; Chapters 2 and 6 of Ethics; Chapters 1-2 of Ayudar a crecer, "La amistad en Aristóteles"
Cooperation and civil society. Philosophy of economics; trade; money; market; supply and demand. Business and society. The vocation of the business man. Distributive justice. Business ethics. Area 5: Dimensions of Human Action: Ethics, Aesthetics, and Philosophy of ReligionImplications of Polo’s vision of the essence of the human being in the various dimensions of human life and therefore in the various disciplines of university studies (architecture, engineering, medicine, law, political theory, biology, psychology, education, leadership, ecology, etc.). Emphasis on how all these dimensions and disciplines require a philosophical understanding of the human being (focus on the essence of man). Focus on how Polo’s essential anthropology sheds light on these realities and makes possible a global and systemic vision of the human being and a harmony between the different types of human activities (and interdisciplinary perspective). Aesthetics. Philosophy of Art. Philosophy of Religion. Possible reference: Chapters from ¿Quién es el hombre? ; Ayudar a crecer, and Filosofía y economía, "El profesor universitario". Area 6: Transcendental Anthropology and its Repercussions in Human Action, Culture, and HistoryImplications of Polo's transcendental anthropology on the themes of this Conference. Possible references: Antropología trascendental I and II; Presente y futuro del hombre; "Why a Transcendental Anthropology?" One-page proposals for papers and presentations should include name, affiliation, address, and e-mail address. Please e-mail them to info@leonardopoloinstitute.org. As mentioned above, presentation of papers by professors will be limited to 20 minutes and presentations by students will be limited to 15 minutes. Proposals for papers by professors and for presentations by students will be accepted on a rolling basis starting May 15, 2014. Notification of acceptance will be sent out within 10 days of receiving the proposal. The final deadline for submissions is Monday, September 15, 2014. A selection of the papers and presentations will be published by the Institute. GPS coordinates: +40° 27' 5.12", -3° 45' 28.53"
The Institute doesn't directly coordinate hotel accommodations for the Conference, but the IESE Business School has a list of nearby hotels that offer special rates for IESE activities. If you decide to use one of them, please remember to ask them for the IESE rates before making the reservation. The list of hotels can be downloaded here. RegistrationThe Registration Fee for the Conference is US$ 40 and includes Conference materials and a generous Spanish style lunch. Please register before September 15, 2014 so that we can we can properly prepare the Conference and organize the afternoon presentations. Please feel free to download and print our Conference posters and to post them at your local academic institution's bulletin board. For more information, please feel free to contact us at info@leonardopoloinstitute.org or visit our webpage at www.leonardopoloinstitute.org.